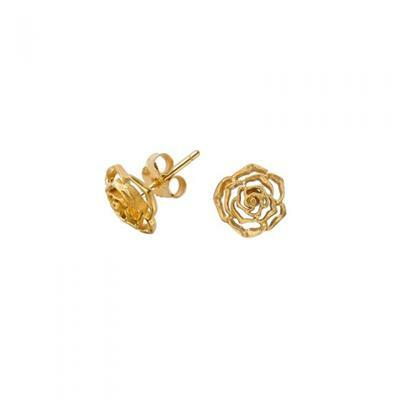 The Dower and Hall 18ct Gold Vermeil Wild Rose 10mm Stud Earrings feature beautiful 10mm roses suspended on posts with butterfly fastenings. These earrings are a stunning addition to any outfit and are a perfect gift for her. The stud earrings are 10mm and are made from 18ct Gold Vermeil. The earrings feature an openwork floral design.